About a month ago I had the pleasure of speaking with Pat and discuss all things sewing for an American Patchwork and Quilting podcast. I met Pat last year when she invited me to join the Splendid Sampler Sew Along and design a block for this amazing adventure. the blocks will be published by Martingale. We have conversed over email so it was an extra treat to get to speak for the podcast. 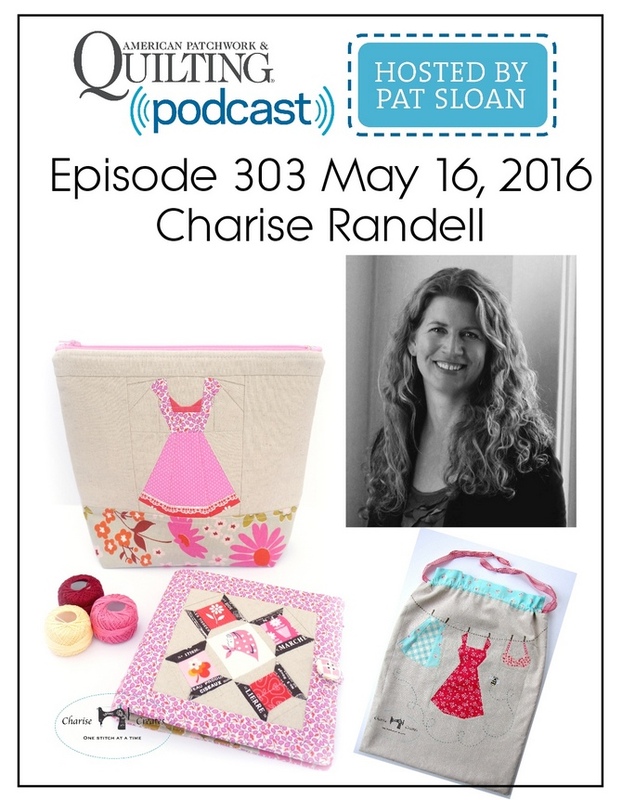 Today's podcast also features two amazing quilters - Sherri McConnell and Barbara Cline. Hi Charise--I downloaded your cute spring butterfly block tonight. I'm confused by the fact that some of the templates show the seam allowance & others do not, although each page says 1/4" seam allowance included. Do I need to draw the seam allowance line inside or outside the templates that are not marked? Heard the interview, you were great.